So, Marks & Spencer challenged me to style up and put together an outfit in under an hour for a specific occasion and weather condition. I was given, as you might have hopefully guessed, an outdoor festival on a typically British day: sunny yet rainy. I filmed my trip around their Marble Arch store on my Instastories (which I saved into my highlights incase you were curious to see which accessories completely distracted me...), going from rail to rail picking out my favourite new-in styles. 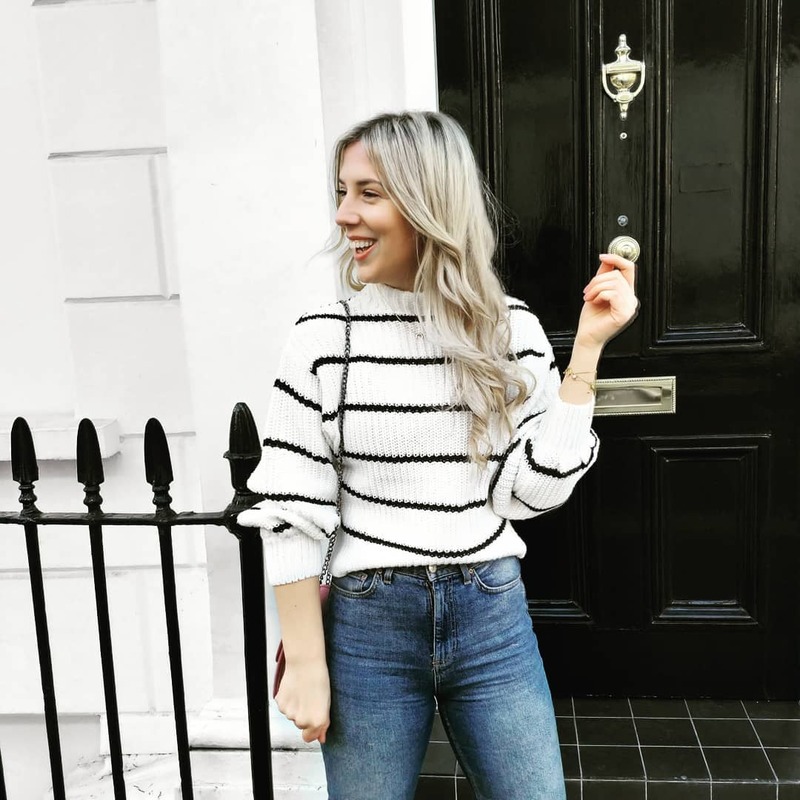 Ultimately I ended up planning my look around a pair of their super flattering lift and sculpt jeans, which I paired with a green and white Bardot top which I received endless (and enabling) messages urging me to purchase it 'NOW!' It's just dropped into Marks & Spencer's new-in section online now so I thought, now you can directly shop the look, it'd be a great time to share everything with you. Bardot top's are my go-to for festivals. Perfect for helping you top up your tan when it's sunny yet, breezy enough to stop you getting too hot in crowds they handily also fit under jackets and jumpers pretty easily. This one's under £___ too which made it even more tempting. As I'm always freezing, and feel even the slightest of chills, a top and a jacket are never quite enough. So whilst I was instore I also picked up a versatile grey cashmere knit. Light and fuss-free enough to tie around your waist during the day and perfect for layering over the Bardot top when it gets cooler. 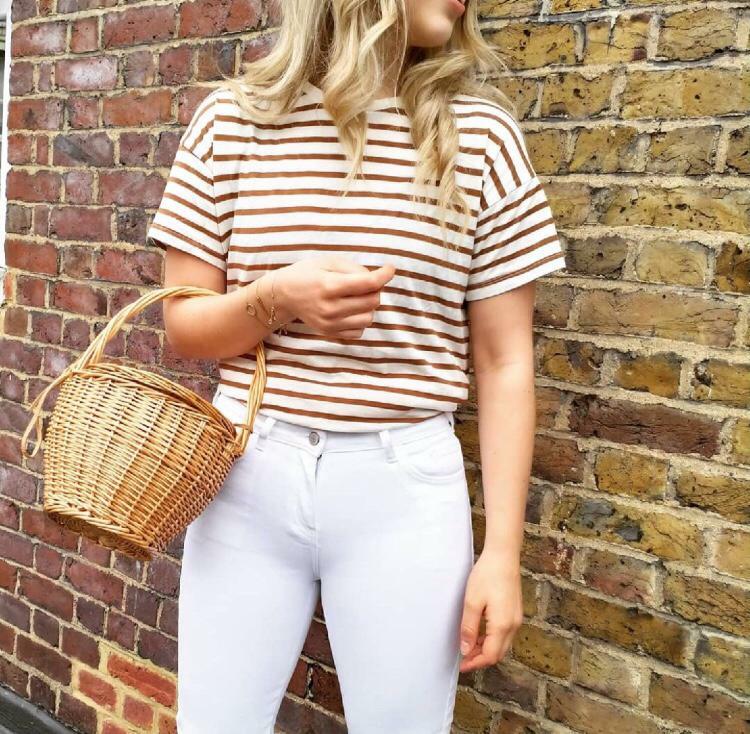 TOP TIP: tying a knit around your waist is also a great way to protect your new white jeans from grass stains or muddy marks too! Also, if you take one thing with you to a festival make it a quality waterproof jacket. Invest in something that's going to keep you warm and dry. The stormproof technology within this jacket might sound a little technical but you're guaranteed to feel grateful of it when the rain starts pouring. When it came to accessorising I opted for a pair of Marks & Spencer's 100% UV protection sunglasses in a fun cat-eye shape and picked a bold and bright cross-body bag that was compact enough for all my essentials (suncream, wet wipes, lipstick etc.) so I could be hands free all day long. Finishing my look off with a pair of comfortable lace up plimsoles to ensure I'll still dancing with my girls long after the final bands finished playing their set. 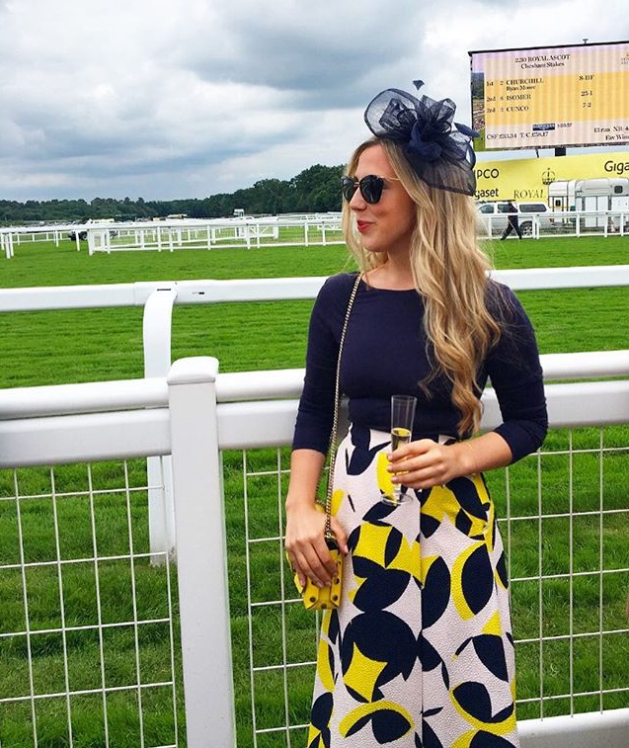 Here are a few more of my favourite pieces from Marks & Spencer's that you can wear #WhateverTheWeather . . .
Disclaimer: Whilst this post isn't sponsored the product featured within it was purchased with a voucher gifted to me by the brand.